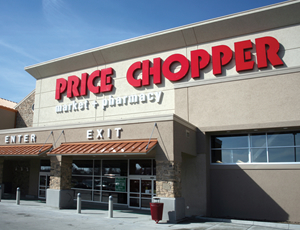 Price Chopper are premier concept stores for AWG. These large, high volume stores are famous for low prices, wide variety and a focus on high quality products -- especially in the perishables departments. The concept includes a pharmacy/drug store; service meat, seafood and poultry departments; salad bars; full service bakery and deli/home meal replacement departments. Ranging from 50,000 to 92,000 square feet, these stores often anchor major retail shopping developments.